The materials on this World Wide Web site ("web site") are provided for informational purposes only and do not constitute a representation or warranty as to the Greater St. Charles Convention & Visitors Bureau&apos;s status, condition or performance or a commitment as to any matter disclosed on this Web site. These materials are intended, but not promised or guaranteed to be current, complete or up to date. The materials on this World Wide Web site are offered only for general informational purposes. Neither the Greater St. Charles Convention & Visitors Bureau, the City of St. Charles nor its elected officials, officers, agents or employees are liable for any harm suffered as a result of reliance on information contained in this site. We reserve the right to restrict usage that may compromise the performance or security of our web site. Such usage may include but is not limited to malicious probes or attacks as well as attempts to mirror web site data using automated data retrieval programs. This Web site contains many pages of hyperlinks to other resources on the Internet. These links are provided as aids to help you identify and locate other Internet resources that may be of interest and are not intended to state or imply that the Greater St. Charles Convention & Visitors Bureau is affiliated or associated with, or is legally authorized to use any trade name, registered trademark, logo, legal or official seal, or copyrighted symbol that may be reflected in the links. Your ability to interface with this web site depends on a number of varying factors. For example: the internet service provider (ISP), the line capacity (bandwidth) to your ISP (dial-up, broadband, wireless, etc. ), and web browser type and patch level. The Microsoft Internet Explorer browser is currently used by a large majority of the site&apos;s users. Accordingly, our usability and performance testing are focused on Internet Explorer, and the site should work best with it. Due to the vast number of combinations of internet technologies that users may choose, we cannot ensure that this web site&apos;s performance will meet all user&apos;s expectations all of the time. While we will try to address users&apos; problems interfacing with this site, we do not provide individual detailed technical support to users for unique problems. The Greater St. Charles Convention & Visitors Bureau is committed to protecting your privacy on-line. The following policy statements describe how individual information will be handled by the Greater St. Charles Convention & Visitors Bureau while using our services. The compilation (collection and arrangement) of all use of this site is the exclusive property of the Greater St. Charles Convention & Visitors Bureau. This policy is subject to change; so it is recommended that individuals refer back to this statement periodically. By visiting this site of the Greater St. Charles Convention & Visitors Bureau, users agree that they will not use the site for any unlawful activity or use it in any way that would violate the following terms and conditions. The Greater St. Charles Convention & Visitors Bureau is subject to the Missouri Sunshine Law (RSMo. 610.010 to 610.200), which governs public records of governmental bodies. Any information acquired through the use of the Greater St. Charles Convention & Visitors Bureau&apos;s web site may be subject to public disclosure pursuant to the Missouri Sunshine Law; and the Sunshine Law may limit any provisions of this Privacy Statement. The Greater St. Charles Convention & Visitors Bureau reserves the right to change any provisions of this Privacy Statement at any time without notice. 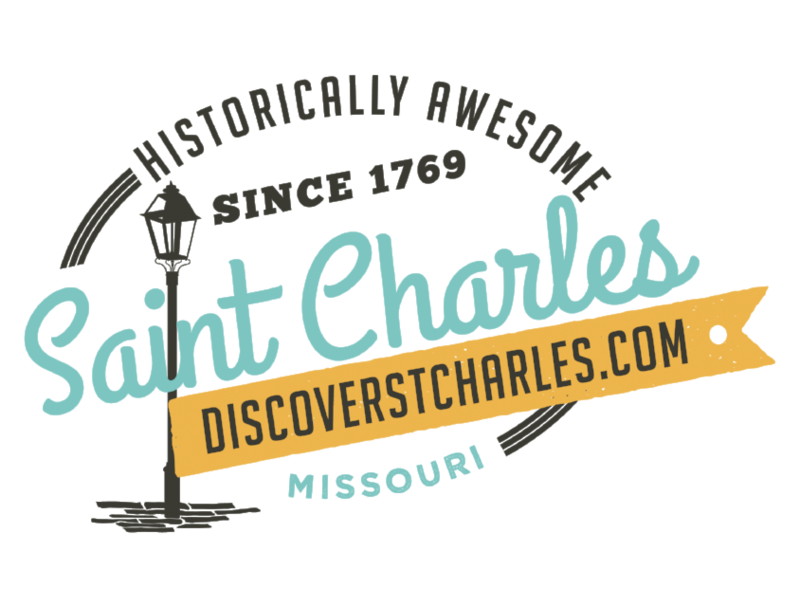 The Greater St. Charles Convention & Visitors Bureau presents the information on this web site as a service to the public. We try to ensure that the information contained herein is accurate and reliable, but it is not guaranteed or warranted. Assessing accuracy and reliability of information is the responsibility of the user. The Greater St. Charles Convention & Visitors Bureau shall not be liable for errors contained herein or for any damages in connection with the use of the information contained herein. The Greater St. Charles Convention & Visitors Bureau collects no personally identifying information about users or subscribers to our web site except when specifically and knowingly provided by users. The IP (Internet Protocol) numbers of computers used to visit this site are logged on our web servers. This is a routine and common web server feature. These numbers may be used in statistical analysis of our website to better plan and design services and facilitate access to them. No marketing databases are created nor is any commercial use made of any such data. These numbers are typically assigned randomly by your Internet Service Provider (ISP) and are associated with your service provider&apos;s name, not yours. When you visit our site, Google Analytics may be collecting data from your user session (such as your age, gender, and interests). This data helps us to understand our users and may help drive the Greater St. Charles Convention and Visitors Bureau&apos;s future marketing strategies. All e-mail addresses maintained by the Greater St. Charles Convention & Visitors Bureau contain the names of people who voluntarily communicated with or requested information from us. E-mail addresses or any personally identifying information about individuals or organizations/companies are not sold or rented to any governmental or commercial entities. When a user gives us his/her e-mail address for purposes of communicating with or requesting information from the Greater St. Charles Convention & Visitors Bureau, that communication becomes a part of the public record and may be subject to disclosure under applicable Missouri and/or Federal statute(s). The Greater St. Charles Convention & Visitors Bureau&apos;s web servers may place a "cookie" on the hard drive of a user&apos;s computer. The cookie itself does not contain any personally identifying information. It enables the Greater St. Charles Convention & Visitors Bureau&apos;s web servers to manage communications between the server and the browser. For security purposes and to help ensure this service remains available to you, we may use special software programs to monitor site and network traffic to identify unauthorized attempts to upload or change information, or otherwise to cause damage to this computer system. These programs collect no information that would directly identify individuals, but they do collect information that could help us identify someone attempting to tamper with this web site. If you use this site, you should understand that all activities may be monitored and recorded. Anyone using this system expressly consents to such monitoring. If such monitoring reveals possible evidence or information of criminal or suspicious activity, monitoring records may be provided to law enforcement officials. If you have any questions or comments about the information presented here, please email the webmaster at gsccvb@historicstcharles.com.